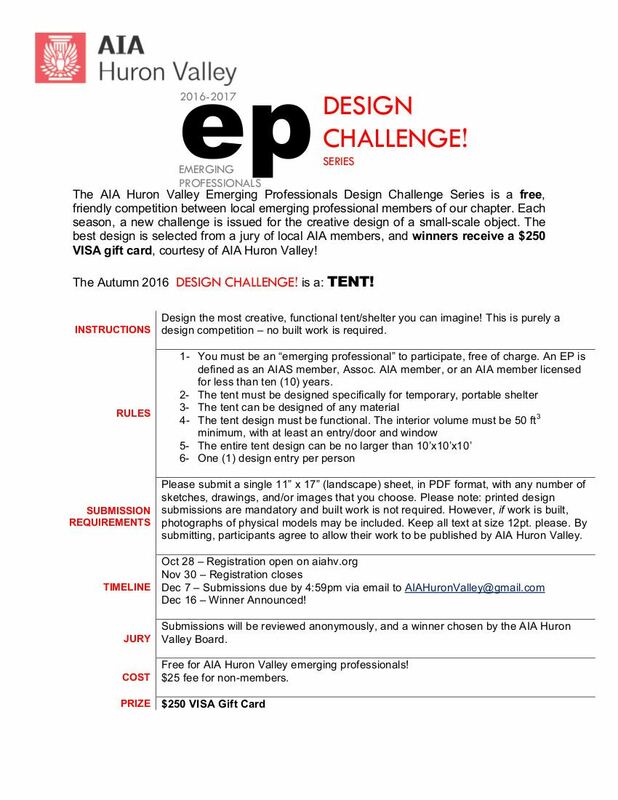 The Autumn 2016 DESIGN CHALLENGE! is a: TENT! Registration opens now, and the deadline to register is Wednesday, Nov 30. Final submissions are due on Wednesday, Dec 7.